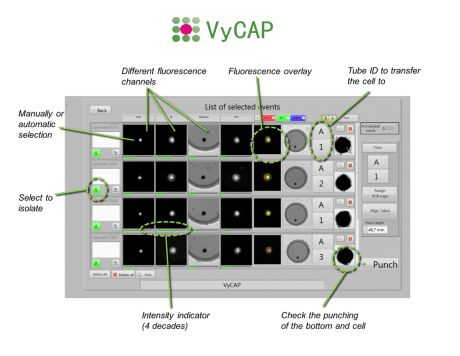 The Puncher system enables single cell analysis and is based on a Nikon Ti-2 inverted fluorescence microscope. 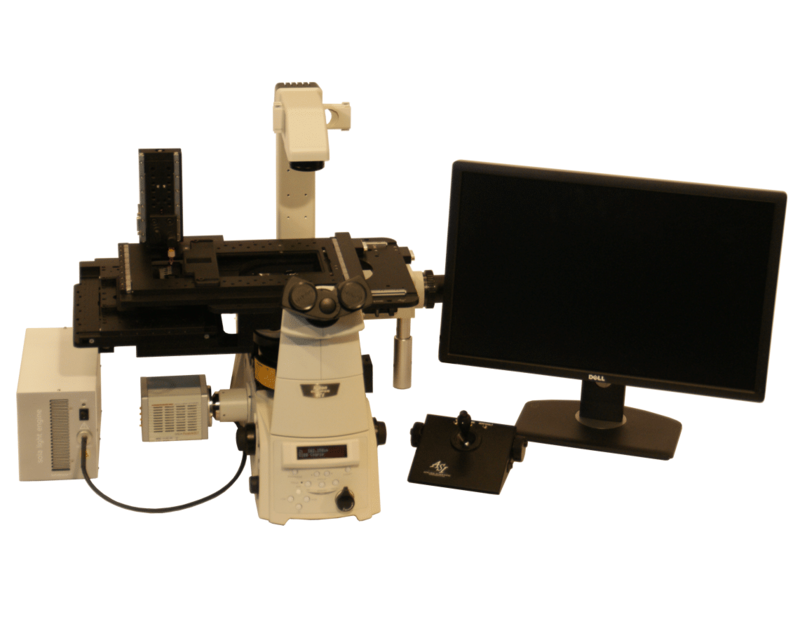 It is equipped with dedicated hardware and software to isolate single cells. After the individual cells are isolated they can be genetically analyzed. It is contains high end scanning stages to quickly position the chip, wells plate and punch needle. In total the system has five stages which are all automatically controlled. Furthermore the system has autofocus and an automatic filter cube changer. 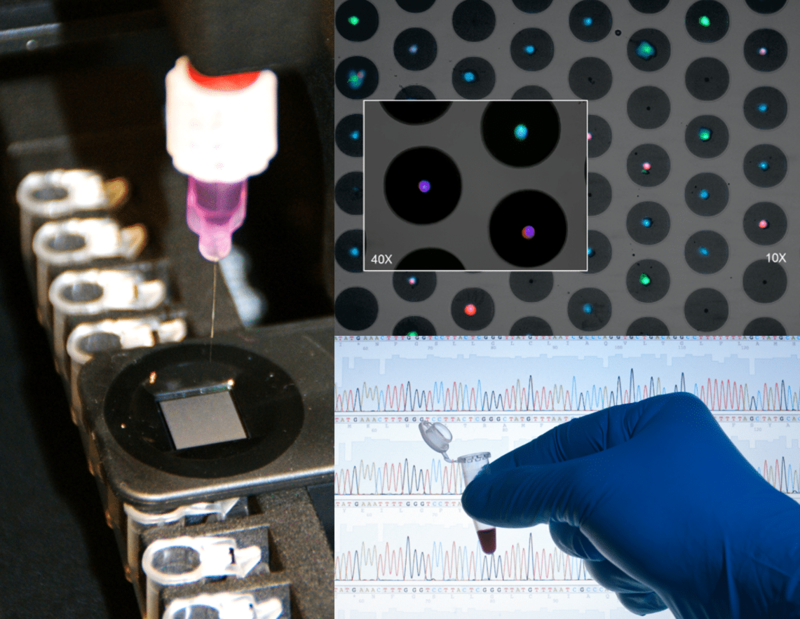 Slides with the microwell chip and wells plates or Eppendorf tubes can be easily docked on the system. 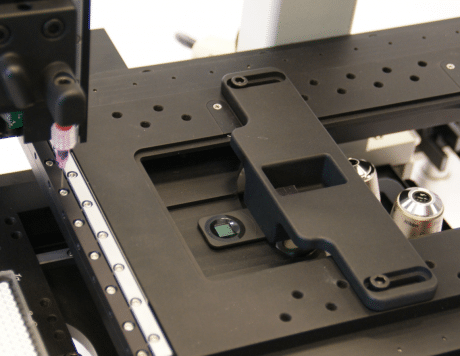 The Puncher needle is easily mounted on the system and the position is calibrated with a optical unit. Calibration takes only one minute. 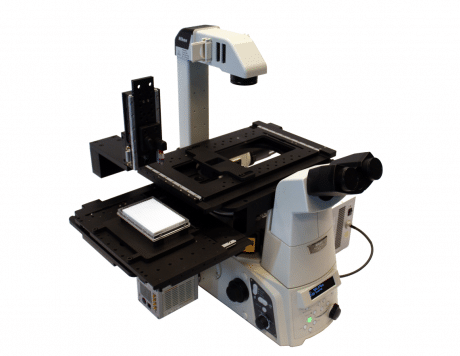 The system uses a Lumencor LED excitation light source and Hamamatsu CMOS scientific camera. 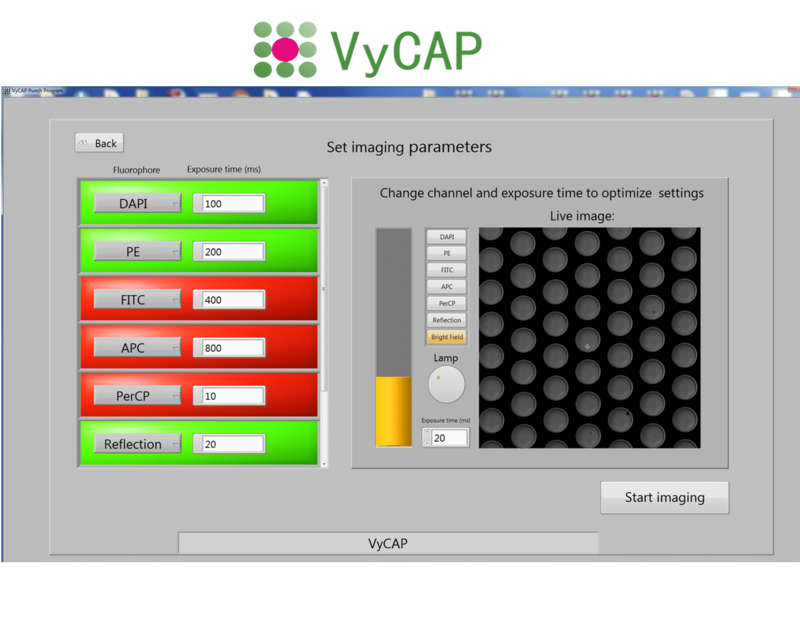 This enables the user to acquire high quality fluorescence images of the single cells with a 10x, 20x or 40x objective. After imaging the cells of interest are presented in a gallery that is automatically generated. After selecting the cells of interest for genetic single cell analysis. The cells can be isolated into PCR tubes or plates. 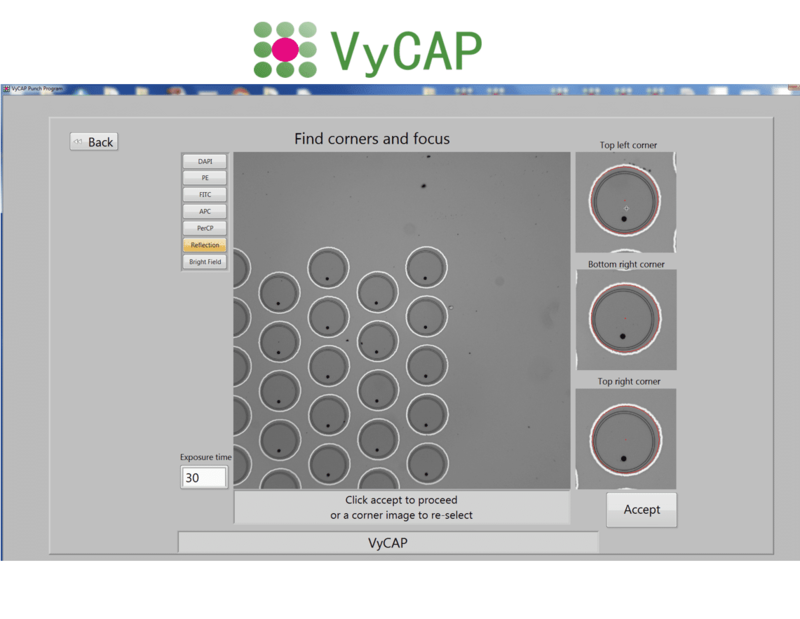 It takes around 1 second to isolate a single cells after the selection. When the microwell bottom with the cell is punched, the bottom with the cell drops into a plate or tube. Subsequently an image of the punched microwell is acquired to ensure the microwell bottom is punched correctly and the cell is transferred the tube or well plate. 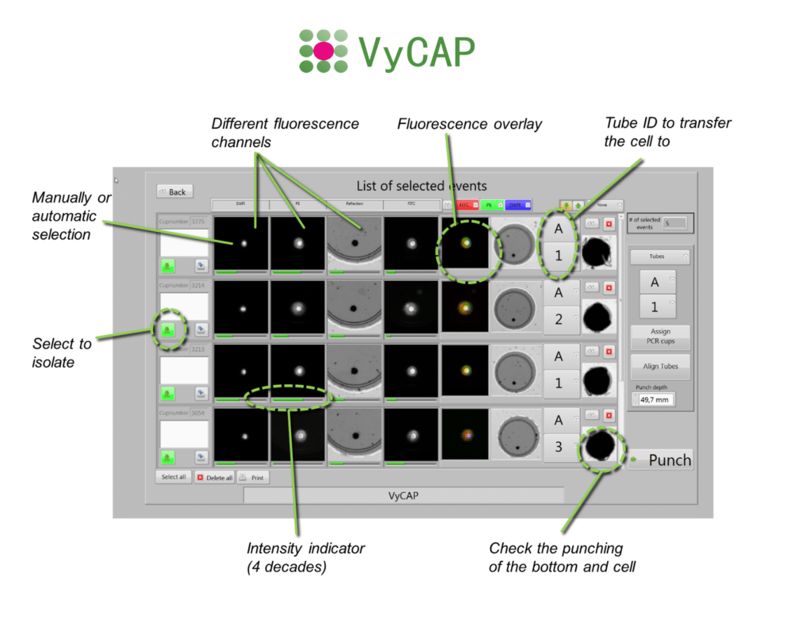 In the puncher system software generates a report after cell isolation. 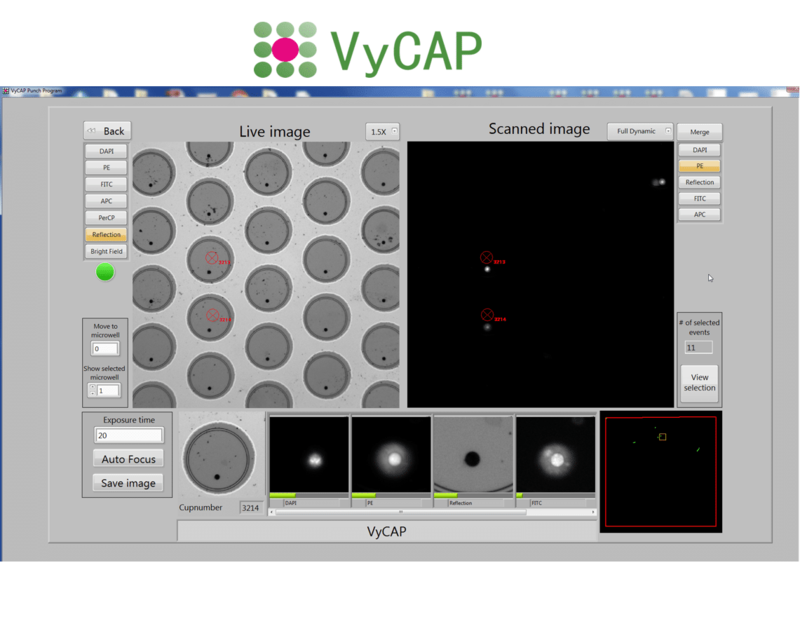 This report contains the cell image gallery and tube number or well plate location into which the cell is transferred. 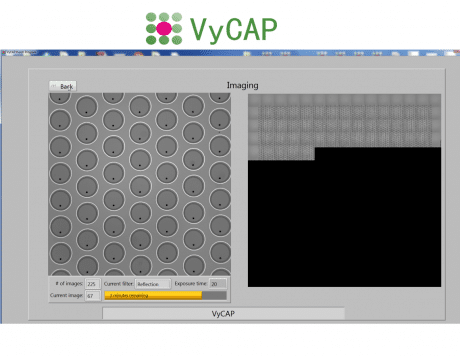 After the single cell analysis the cell morphology can be coupled to the RNA or DNA data. In addition to the single cell isolation, the system can be used to scan and acquire images of the cells collected on the microsieve chip. The microsieve chip is typically used for CTC enumeration.